Construction? Bat Cave? 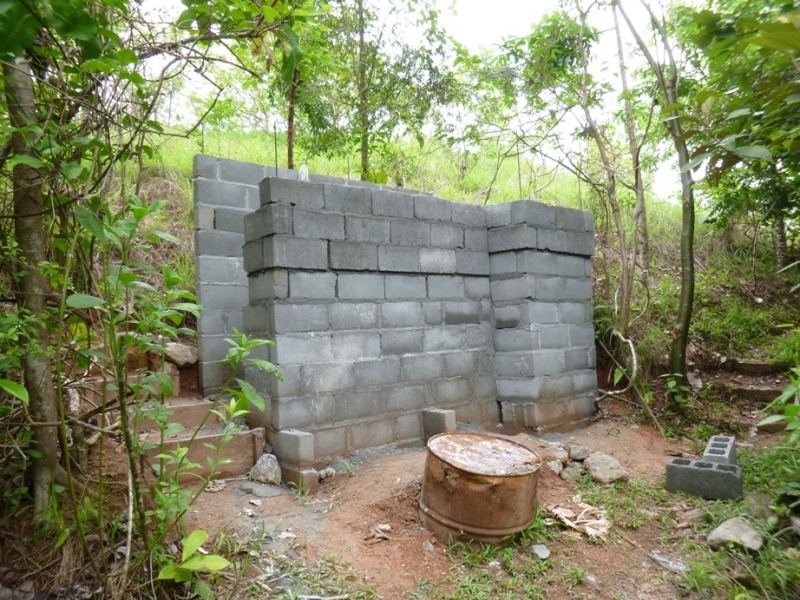 Yes, we felt that our 8 hectare botanical garden lacks a cave, and Loes somehow misses (supervising) construction. Our terrain has no big exposed rocks or caves and therefore lacks the micro-climate and specific habitat that is associated with large rocks. 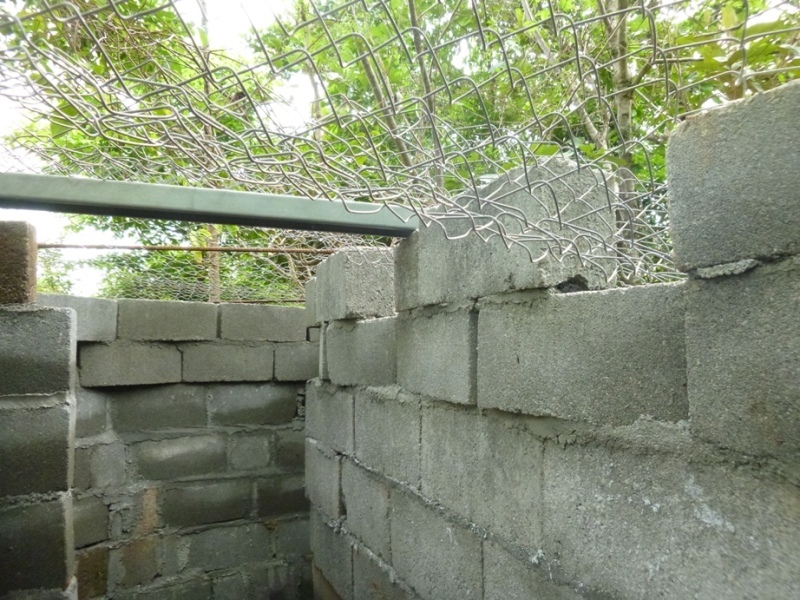 We do already have an enormous amount of lizards, iguanas and bats, and more of those or other types can come if we have rocky outcrops and the hiding places associated with them. Especially large dark holes are attractive to a lot more animals. Even some armadillos, coatis and some of the smaller wild cats may look there for shelter. Since we bought the terrain in October 2006, there was a severely eroded spot with bare soil. We modified it to become our tree nursery, but in 2010 we constructed a better nursery (with flat concrete ‘stoeps’ and a covered part) near the dam. So for the past years we have been thinking about what to do with this ‘old nursery spot’ where nothing wants to grow on the baked exposed soil. So some day the plan was born to built a cave, for bats and which ever other animal that wishes to be living there or nearby. 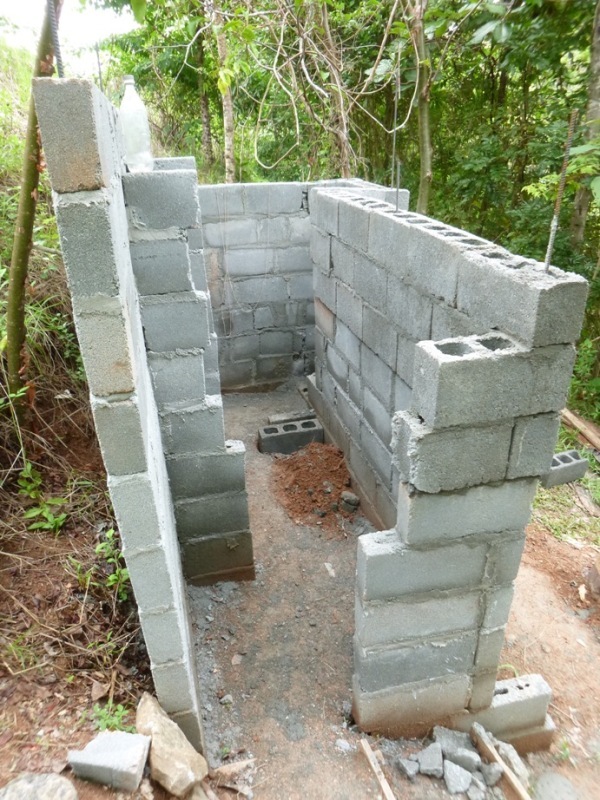 The planning took some time but now, finally, last month, in between guests and Coiba trips, we have started to build the cave. (Note, yes we are aware that it would have been a lot easier to rebuilt the soil and make it green, but than it would look like the rest of our land and now it will be different…). The methodology is in theory based on memories of many visits (was it in 1988?) to Burgers Zoo, Bush and Desert in Arnhem, where they constructed rocks with mesh and concrete and painted real rock-like with lichens and all… I tried to google on it but have not been able to find details.And, in December 2010, we learned about the Cuba method for the construction of large nests for parrots and macaws, using hessian cloth and cement, mixed with wood-chips. On top of that concrete/hessian we intend to put more hollow objects that shall make the total roof look more rocky and create several other resting and nesting places for a variety of animals.And on top of that will be another layer of hessian combined with plaster in a rocky colour and shape. Don’t ask how yet, we’ll figure something out and let you know. We do not need to paint lichens as I am sure they shall come as long as we keep the surface rough. We actually will make ridges to hold ferns and orchids and maybe even a strangling fig. On the sides, we have already created outcrops that should become boulder or rock like. Hollow of course with entries for creatures… One of them will double serve as a bench for those who want to rest while walking our botanical garden. Another will be a step to reach a high small window with a kind of door to –hopefully- watch the bats without disturbing them. This cave has so far taken about 240 blocks in various sizes. Although fairly large, not large enough to park a bat-mobile. It is good that crime in Mariato is virtually non-existent. Heliconias are the quintessential neo-tropical flowers. 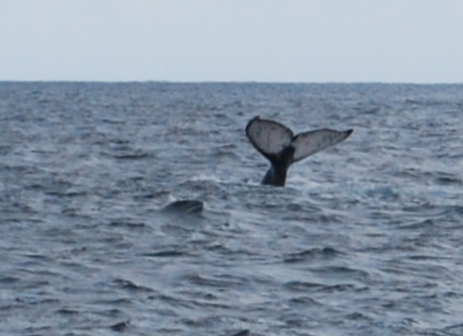 They are large, unusually-shaped and brightly coloured. The shape of the flowers is the result of an intricate relationship between the plant and the pollinator, usually hummingbirds. In many Heliconias, tHe flower is shaped in such a way that only longbilled hummingbirds, often ‘hermits’ can reach the nectar. Since few species can reach the nectar, there is little competition and the pollinators are sure to find a good amount of nectar when they visit the flower. The hummingbirds therefore tend to visit flowers of the same species, and this increases the probability of pollination for the heliconias. However, to make sure that the hummingbirds visit enough flowers, not all flowers in the inflorescence contain nectar. Many are almost dry, while a few contain large amounts of nectar. Hummingbirds are thus obliged to visit a large number of flowers on the same inflorescence to get the nectar they need. The specialisation of plant and pollinator may be one of the reasons why there are so many species of Heliconia. Through specialisation of pollinators, several, perhaps many, species can co-exist in the same habitat, because they use different pollinators. Th scaly-breasted hummingbird (Phaeochroa cuvierii) is a fairly large, dull-coloured bird, for hummingbird standards that is. 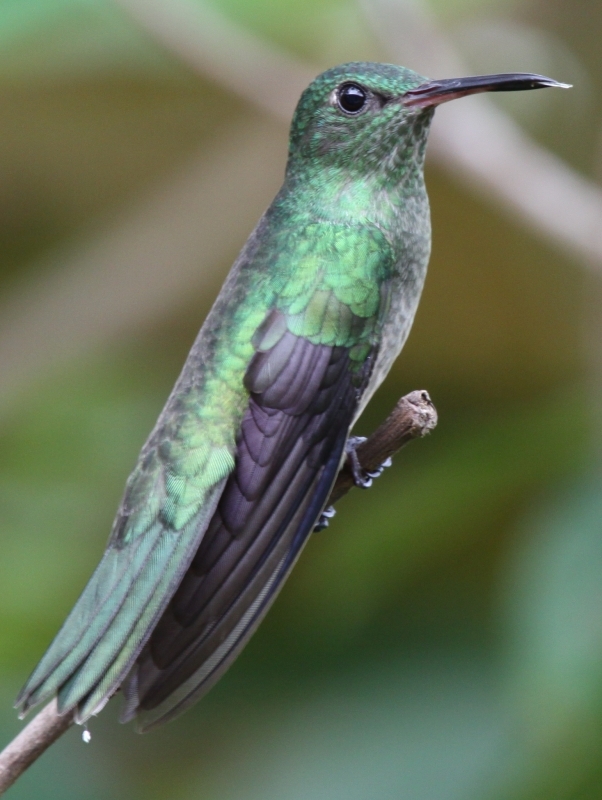 Mostly green upperparts and grey breast feathers with a green edge, giving the breast a scaly appearance.Best field mark are the white corners to the tail, overall green colour and size (15 cm). 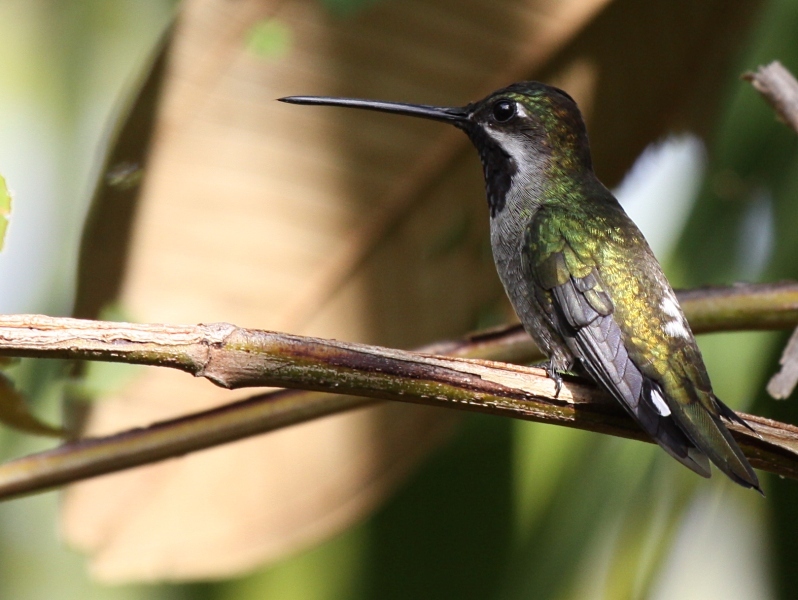 Scaly-breasted hummingbirds occur mostly in open areas in the Pacific lowlands of Panama, but are uncommon. 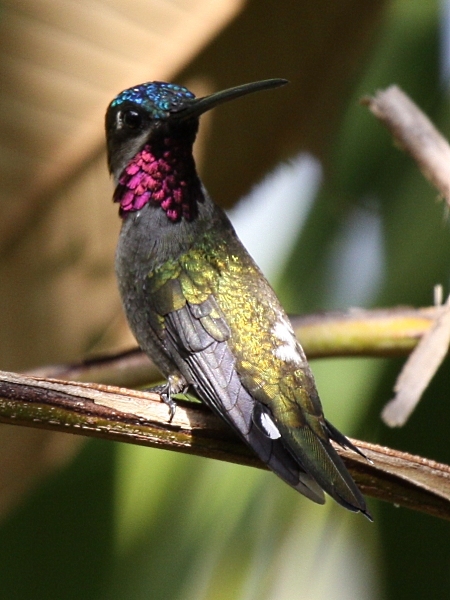 They come to hummingbird feeders, where they dominate most other species. The turtle season is in full swing. 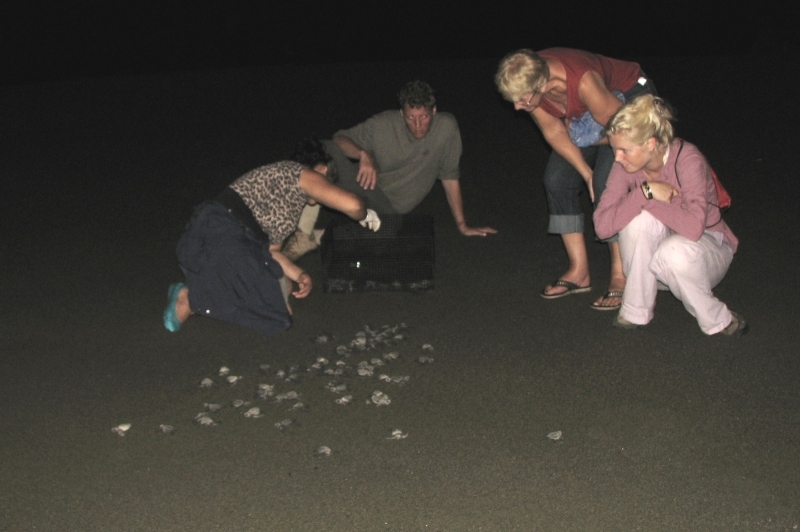 Almost every day, turtles arrive at the beach of Malena to lay eggs and almost every day there are turtle hatchlings to be released. 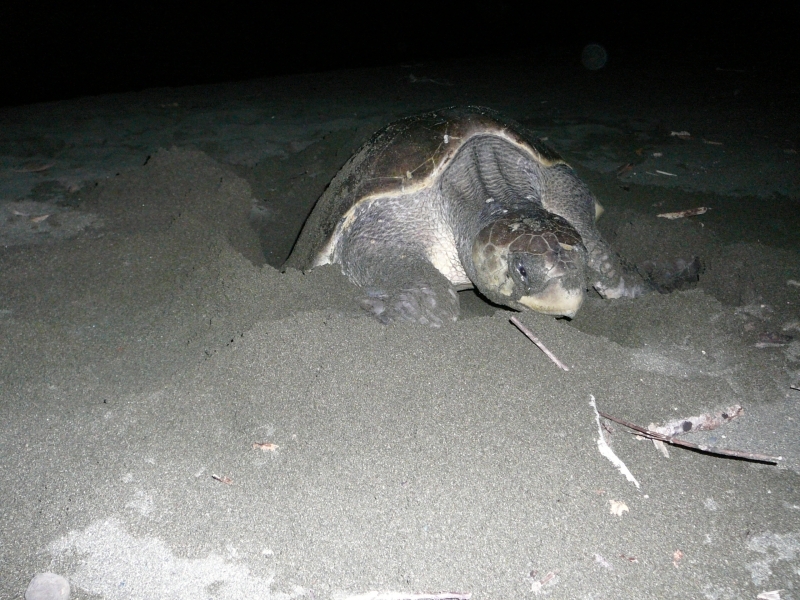 Five species of turtles lay their eggs at Malena beach: Olive Ridley, Green, Loggerhead, Hawksbill and leatherbacks. The Olive Ridley is the most common turtle on Malena beach. The Malena community has set up an association to protect the turtles that breed on their beach. Every day, or rather, every night and early morning, volunteers patrol the beach to check for turtle nests. The nests they find are dug out and the eggs are reburied in a turtle hatchery, where dogs, cats and poachers can not get at them. In this way, the people of Malena prevent virtually all egg mortality and generally some 90% of the eggs hatch. When the small turtles hatch, they are released on the beach and accompanied until the water edge, preventing mortality from cats, dogs, ghost crabs and raccoons. But when they enter the water, the turtles are on their own. Together with some guests we went on a very early patrol with the Malena communioty turtle patrol and were lucky enough to see a female Olive Ridley turtle come on the beach to lay eggs. 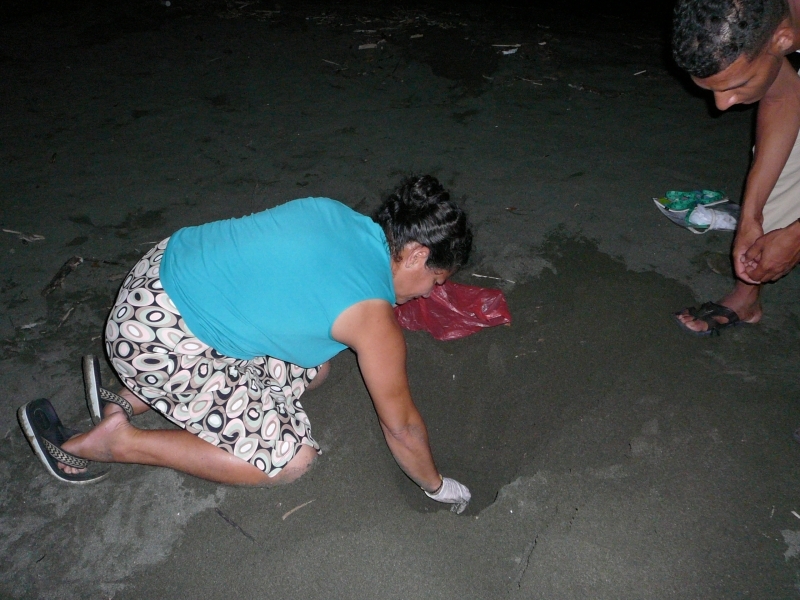 On another day, we went to help release the turtle hatchlings, also in the early morning. This takes less luck, since the laying date of each nest is noted and we know that it takes 48-50 days for the eggs to hatch. Last year the Malena turtle protection association released nearly 20,000 young turtles and it looks like they will release a similar number this year. The rainy season is in full swing and birds are breeding like rabbits. They have to, breeding success is low here in the neo-tropics. All to frequently, nests are robbed by snakes, squirrels or opposums. Some birds start a new nest immediately after completing (or losing) the last one, up to three times per year. 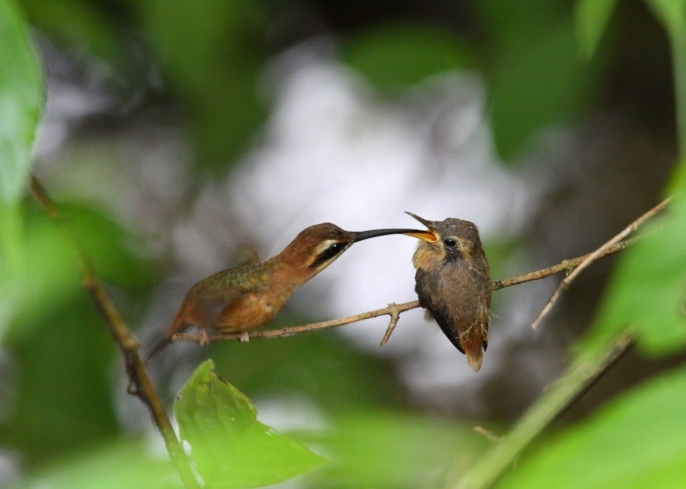 This stripe-throated humming bird at least managed to bring one chick to fledgling stage. 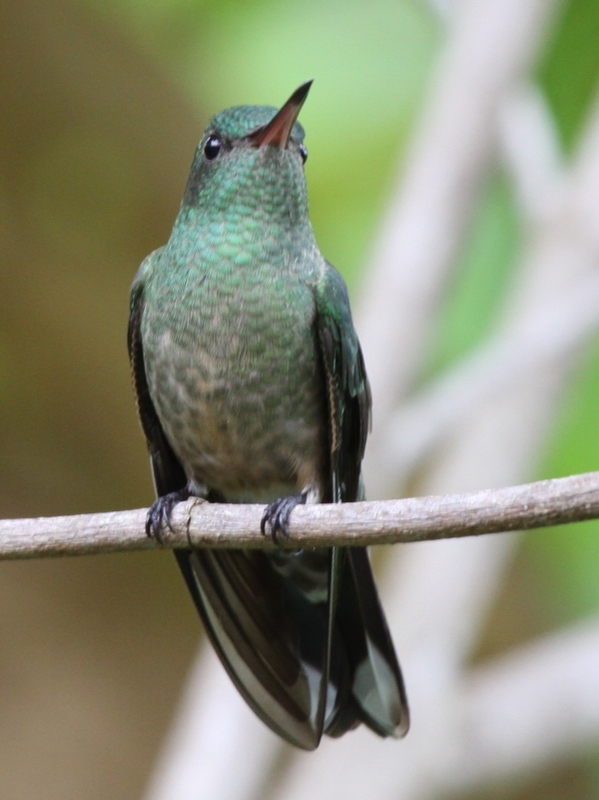 No small feat if you remember the above and also know that hummingbird males only contribute their genes to the breeding effort. 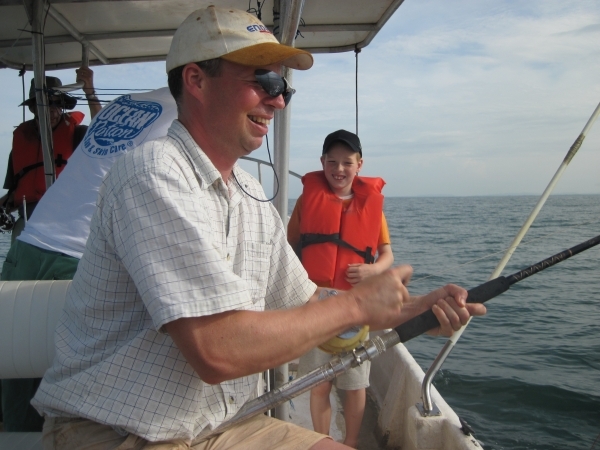 The Pacific Coast of Panama offers some great fishing, especially at the southern edge of the Azuero peninsula and in the remote Darien. At both places, the continental shelf is narrow and nutrient-rich water from the deep mixes with the warm surface water, providing food for Tuna, Marlin, Dorado, Wahoo and many other species of game fish. January to April are the best months for fishing. Yellowfin Tuna are the main attraction for fishermen. 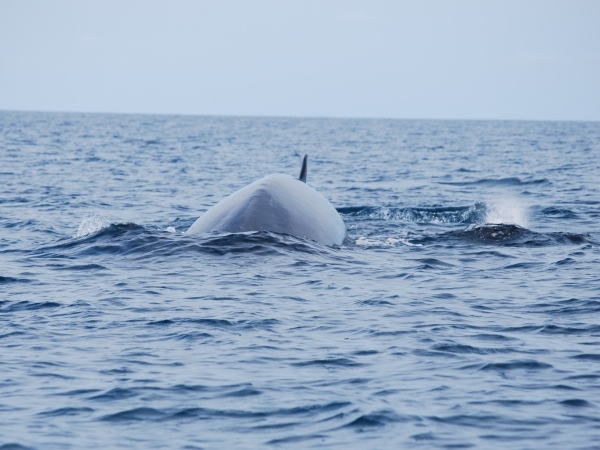 They arrive in the area around January, first mostly the smaller ones (20-30 kg), but as the season progresses, more and more large individuals, some weighing more than 100 kg, are present. Wahoo, Dorado and Sailfish are also common during this period. 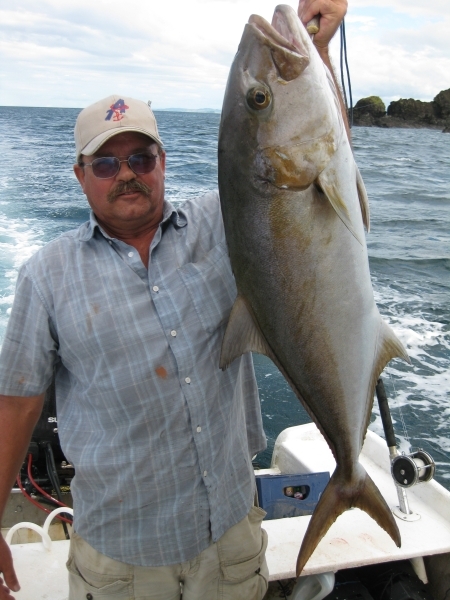 Closer in shore, you can catch Amber Jack, Sierra and numerous other fish. I do like an occasional fishing trip, especially if I can catch a tuna and transform it into sashimi afterwards. So I went fishing twice so far, once in December with friends and once in July with my father and brother. I organised the trips with Jerry Higdon, who has been fishing here for years. He knows the area very well and has good fishing equipment on board. However, I am more of a nature lover and bird watcher than a fisherman and on both occasions I was caught in a variation of the old fishermans dilemma. Not so much: fish or cut bait, but rather: fish or watch whales or watch birds or try to photograph dolphins… I tried to do it all, which probably explains why I only caught some Sierras, while Steve got the Amber Jack. But if you are serious about it, fishing here is great and I can recommend Jerry Higdon, our local captain and fishing guide.